So you want to elope? What better place than the diverse shores of Lake Superior! 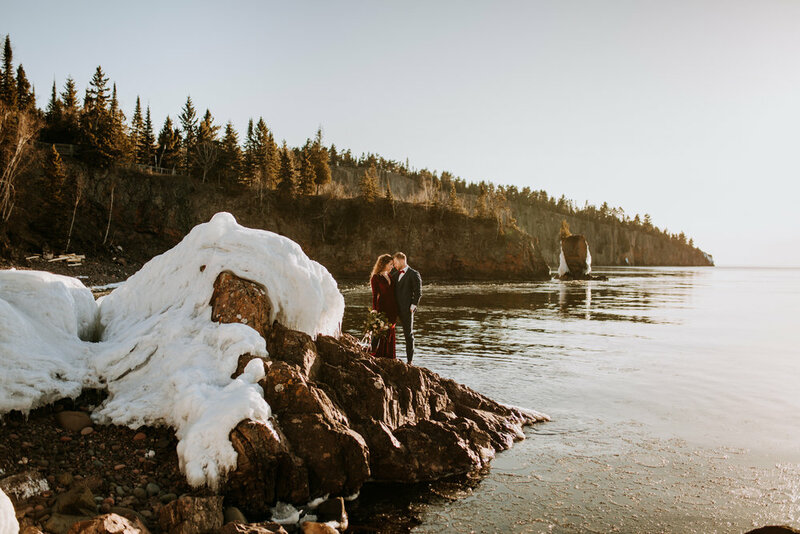 From eclectic towns to rocky shores, Lake Superior has a lot to offer for a potential elopement. But with so many varied locations a quiet wedding getaway is going to take just a bit of planning. Thankfully, I have spent a TON of time up on those windy shores and best of all? I’m here to help! Let’s get started! What do you want out of your elopement? Before you even walk out the door it’s good to have some kind of an idea of what kind of experience you are looking for. I have to guess if you are here you’ve already put some kind of thought into Lake Superior, but what exactly are you looking for? A quiet town or a deep woods adventure? If Superior itself is your intended backdrop, would you prefer high cliffs or pebble beaches? Rugged or simple? A little bit of research into exactly what kind of experience you hope to get out of Lake Superior can really streamline your selection process. Can you say road trip?! I can’t think of a much better mini vacation than scouting a little stretch of shoreline. It’s an adventure in and of itself! But Superior is a big place that stretches from the very tippy top of Minnesota and takes a grand sweep across Wisconsin and ends nice and cozy with Michigan's upper peninsula. That’s an awful lot for even a few days exploring so break it up! Do some research into what part of that great big ol lake really just jives with your soul! To get you started I have some really great suggestions of a few places that i feel really deserve your attention! Let’s start with Minnesota! The quiet town of Two Harbors to be more precise! 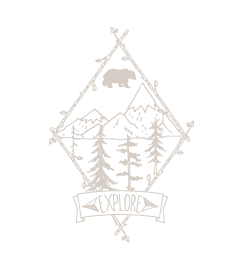 Boasting the stunning structure of Split Rock Lighthouse AND the wild woods and waters of Goosberry Falls State Park, these awesome locations are not to be missed on your location scouting adventure! A little more on the rustic side but make no mistake, It has its own magic! Not far from Two Harbors with a more urban feel we have the busy little town of Lutsen Minnesota! Lutsen offers a plethora of waterfalls, picnic spots and historic locations to make your intimate elopement seems all the more special. Lutsen is also a quick drive from more than a few Really fantastic state parks just waiting for you to discover! Continuing farther up the road you will find the sleepy little town of Grand Marias. But don’t let the quiet fool you, around peak fall color season this little slice of heaven turns into a really bustling place! I can promise, the views are breathtaking! Artist’s point is the perfect place to feel completely and intimately alone without ever leaving town! As a matter of fact, it’s easy to forget you are even IN a town in this little forest nook. Sounds like a prime place for “I do’s” amirite? What? You were thinking more of an open location? Want the wind in your hair and on your face? No Problem! Connected to Artist's point is a fabulous rocky bluff that even occasionally offers the cooling feel of the waters spray. Talk about an impression! Last, but certainly not least, for our peak into Minnesota, we have Grand Portage. About as close to Canada as you can get! The lush forests and captivating rivers of this stunning location are a must on any adventurers agenda. There exists an intimate little beach that offers an almost mystical view of the iconic natural formation, Hollow Rock. If hiking is more your speed, Mt. Josephine offers an array of views of Lake Superior. Pigeon falls, the Susie Islands and Isle Royale Are all worth a look as well! Just be prepared for a trek through the Sawtooth Mountains! Wisconsin is next on our journey along Superior! And with plenty of kitschy towns to boot! We’ll take our first look and the tiny little hamlet of Bayfield. This quirky little town is perfect for anyone with the soul of an aspiring artist! Charming little store fronts and a quaint marina give Bayfield a perfect mixed feel of rural and urban. Maybe you want something more… remote? Then the Apostle Islands should be somewhere on your radar! Each isle offers its own unique experience whether you are looking for tame towns, lush forest trails or little ribbons of beach; the Apostle’s have something for almost every taste and style. Not far from Bayfield is the town of Ashland, complete with that good ol fashion midwestern charm. Hip classy bars, breweries and a sandy beach are just a few things to expect from the town itself. The true gem though is only a short drive out of the town itself in Bayfield County. A beautiful gorge by the name of Houghton Falls! This little ravine carves a path all the way to a cliff edge into Superior itself! Truly a breathtaking view that needs to be seen to be believed. Want to see a full elopement at this location, click here. At last, we look at Michigan. The upper peninsula to be exact! If you want a diverse adventure Pictured Rocks has it all! Beaches! (yes more beaches!) Tall sandstone cliffs. Forests and sand dunes, you really can’t go wrong! Of course there are plenty more places along the ever stretching shore of Superior, but it’s almost impossible to cover them all! My hope is this at least gets that search of yours jump started! It would be pretty cool if I got you thinking about future trips to! You’ve now scouted possible elopement locations, now it’s time to choose one! There’s some things to keep in mind before you stamp it with your seal of approval. The first of which, can you can actually see yourself reading your vows there! Seems like a no brainer but it’s easy to disassociate after all that traveling you just did! Try and envision the practicality of your environment! If we were to talk about beaches again (Yes again!) how well will it function on the day of your event? Sand offers almost no problem but what if it’s a pebble beach? If it’s a bit of a hike are you equipped to make it? Is your photographer and officiant? Trust me, I’m all on board a secret magic forest wedding, your people just need to be up to the task of making the trip! Every wedding needs an officiant of some sort, and I’m pretty sure you already have someone in mind. But have you stopped to consider if they are up for the unique adventure of your intimate ceremony? Not everyone is up to a brisk walk through the woods these days (crazy right?!) If you plan having your vows exchanged off the beaten path make sure one of your primary questions is if they are up for an adventure first! Something else to keep in mind, find a florist that knows the area! Believe it or not it can take some pretty hearty flowers to last through even just a few hours on the ever changing climates of the North Shore. It’s also good to be informed about what’s in season with the time of year of your elopement date. It’s not too much to ask that you actually LIKE the look of your bouquet right?! A good florist will work with you to match practicality with the intended style of your special day! After your elopement is all said and done… You’re gonna be hungry. I’m sure you have a general idea of a plan, but have you considered local options? Betty’s Pies and Bluefin Grille, just to name a few, are definitely on my list of recommendations. Classy or casual. Off the wall or touristy there is bound to be something on the North Shore that fits the mood of your intended day! Hopefully I have given you some insight into why Lake Superior is a fantastic place to have your elopement! There’s only so much I can cover in this one post, but my wish is to have inspired you to go out and explore! To find that one magic place that clicks and makes you say “This is where I want to get married!” As someone who has spent a great deal of time around Lake Superior, if you are ever looking for more insight or advice I am always down for a coffee date with you and your intended! In the meantime, get out there and discover what that big great lake has to offer! 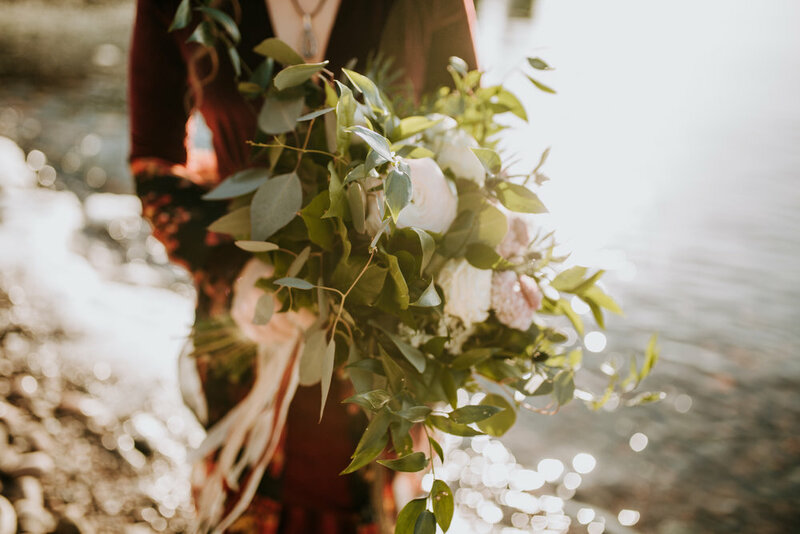 Looking for even more info on how to plan your dream elopement, follow this LINK to another blog post dedicated to just that!